Volkswagen shops in the United Kingdom are using augmented reality car repair to give their mechanics an extra pair of eyes and ears. 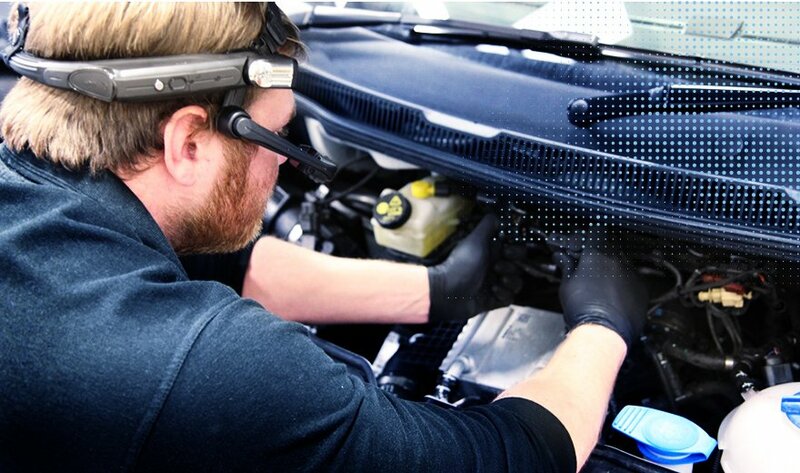 Commercial van line mechanics sport augmented reality headsets to help diagnose complex problems. The voice-activated augmented reality headsets feature a high-definition camera, microphone and speaker. The benefits of augmented reality car repairs are felt by the mechanics. Experts in the home office can help technicians investigate and resolve the problem. Volkswagen Service Operations Manager Paul Anderson said technicians "feel relieved because it's like having another master technician in the dealership." Furthermore, Volkswagen has been able to reduce travel time and expenses since technicians in the support center can directly communicate with master technicians. Augmented reality is making its way into car dealership showroom floors, too. In 2016, Bentley launched a showroom floor sans cars. Cameras, sensors and interactive kiosks showed life-size images of vehicles from every angle. Prospective buyers could experiment with colors and other features to create a virtual car. How else do you think AI may impact mechanics?